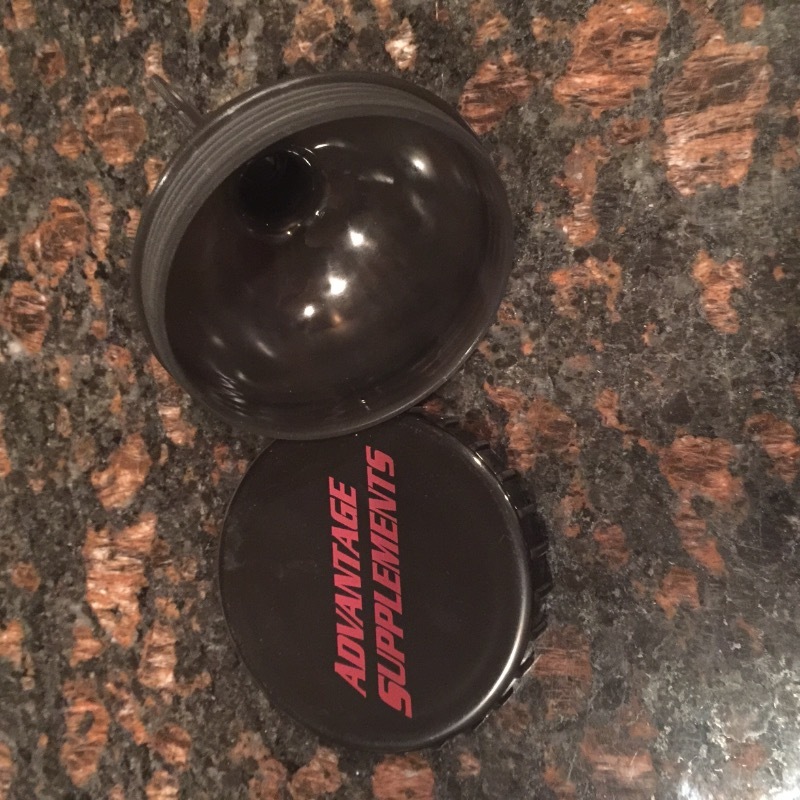 This funnel is decorated with the AdvantageSupplements.com logo. Contains a screw open top and bottom. One serving of just about any protein, pre-workout or any other type of powder can be stored inside. Perfect for when you want to mix your supplements in a water bottle or if you simply don’t want to make a powdery mess. This is a great product. It makes carrying my protein powder with me easy. Just add a measure of the powder in the large opening and it closes tight to carry anywhere. The small opening fits in a water bottle so I can tap the contents into the bottle with non problem. Perfect size to carry with you.